Several dozen emails from Hilary Clinton’s private server appear to have contained classified information at an even higher level than previously thought, according to a letter from the Intelligence Community Inspector General. In the unclassified letter to the chairmen of the Senate intelligence and foreign affairs committees, sent on January 14, Inspector General I. Charles McCullough III responded to a congressional inquiry regarding former US Secretary of State Clinton’s emails. “According to the declarant, these documents contain information derived from classified IC element sources,” McCullough III wrote in his letter, referring to “sworn declarations” he requested from the IC internal elements involved in the probe. Strictly, only “need-to-know,” cleared employees have access to such documents. Until this recent revelation, only two of Clinton’s emails obtained from her homebrew server had been officially labeled as “top secret,” an issue that made an already tough situation with her presidential run even tougher. While the emails were reportedly found on her server, it is unclear from the letter whether Clinton herself was personally sending or receiving them. 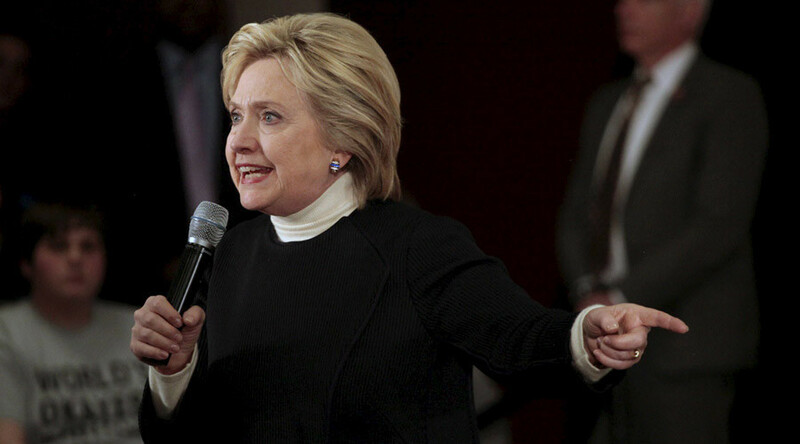 Clinton’s private email set-up first surfaced in March 2015, leading to heavy criticism. The FBI launched an investigation to find out who at the State Department sent the information to Clinton’s private email account. Under the Freedom of Information Act, the US State Department started releasing Clinton’s emails monthly in May 2015. The former Secretary of State submitted about 55,000 emails. The most recent release was made on January, while the last batch of her emails is due to be made public January 29. Clinton’s server did not encrypt emails, a fact that let critics raise concerns that hackers may have obtained classified information from her correspondence. The Clinton campaign maintains there were no breaches in security. It is unclear so far how the new development may affect Clinton, the frontrunner for the Democratic presidential nomination, and her campaign. According to a November poll by McClatchy-Marist, 68 percent of Americans agreed that Clinton did “something unethical, but not illegal” Twenty-eight percent believed Clinton did something illegal and 27 percent said Clinton did nothing wrong.